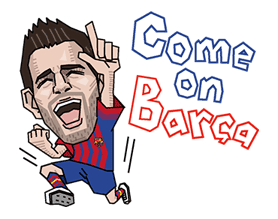 http://www.line-stickers.com/ – Barca Players Line Sticker | Download the latest FC Barcelona stickers and add even more Barça flavour to your chats. Get ready for the second edition! Download it and add a new Barça flavour to your chats!